For more than 100 years, American Standard Heating & Air Conditioning has been working hard to develop products that increase comfort. While dirt, allergens and other unwelcomed particles can enter your home or commercial space each and every day, American Standard products work efficiently to remove 99.98% of the allergens that enter your system. 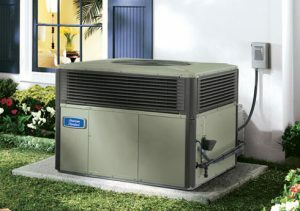 Each American Standard unit works smarter, not harder, to efficiently cool your home or business, so you can stay comfortable all year long. ParkerAire only offers our customers the best quality parts and systems, and we are a proud American Standard dealer. We often choose American Standard units for our customers because they are dependable and durable. During annual inspections, we find that American Standard units typically do not run into as many issues as other lesser awarded manufacturer models. These units are built to withst and the scorching summer heat and relentless afternoon rain showers. As an American Standard dealer, we have access to the genuine manufacturer parts and always have a large supply fully stocked and on our trucks during service calls. Each of our highly skilled technicians is trained on every aspect of American Standard products, right down to the nuts and bolts. Better still, each unit is covered by warranty programs that offer worry-free protection, and we even offer financing for customers who quality. To see if you qualify, apply now!